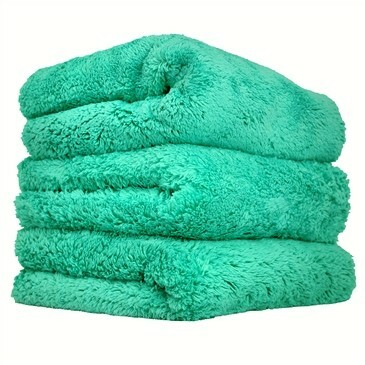 Green Extra Thick Happy Ending Towel is a fluffy towel tailored for the softest touch while drying any car body part. The Chemical Guys Green Extra Thick Happy Ending Towel is a fluffy towel tailored for the softest touch while drying any car body part. Happy Ending Microfiber Towels are made with premium 70/30 blended microfiber for ultra-soft scratch-free cleaning and wiping. Fluffy piles of soft microfiber trap harmful dust and dirt particles to protect paintwork from swirls and scratches with every wipe. Use the Green Happy Ending Microfiber Drying Towel to soak up water after a car wash for scratch-free drying. The immense surface area of each microfiber strand captures any missed bits of dirt and grime, and insulates them to prevent paint swirls and scratches. The unique laser-cut edgeless design removes any hard surface from the towel, and guarantees the gentlest touch from every square inch of the fabric. To combat cross-contamination between sensitive surfaces, Chemical Guys manufactured Happy Ending Towels in multiple colors to easily distinguish between interior and exterior towels, and between towels suited for specific jobs. Separate wheel and engine towels from paint and leather towels to avoid spreading grease on seats, or swirls and scratches on paintwork. The most sensitive areas require the softest touch; finish them off with the Extra Thick Happy Ending Towel. Keep your microfiber towels at the peak of their softness and performance with Microfiber Wash Cleaning Detergent Concentrate. 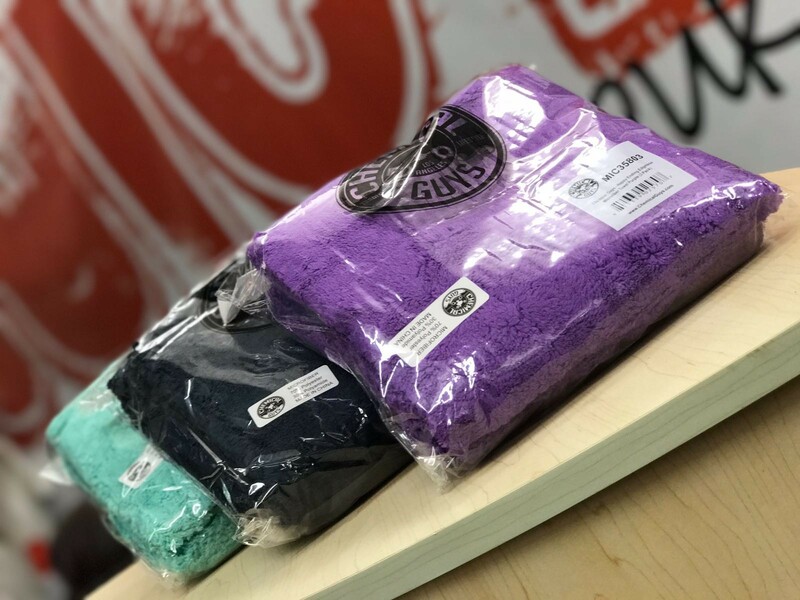 If used regularly, Microfiber Wash will retain and restore microfiber softness and protect your microfiber towels keeping them soft and absorbent.If used regularly, Microfiber Wash will maintain and restore microfiber softness and protect your microfiber towels, keeping them supple and absorbent. Always wash towels with HOT water, and always dry your towels on LOW heat. Do not use fabric softeners on microfiber towels.